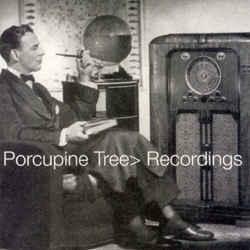 The Porcupine Tree catalogue is littered with numerous rarities, non-album cuts, B-sides, and vinyl-only releases. Unfortunately, most of them were limited editions and no longer available. Fortunately, Steven Wilson has decided to compile the best of those lost tracks onto one CD. Unless you've painstakingly sought out every limited edition release from Porcupine Tree over the past five years or so, you are bound to find something on Recordings that you don't have, and even if you are a diehard collector, Recordings has a couple of its own "never been released before" tracks. One of those tracks, Buying New Soul, is quite possibly one of the best songs PT has ever done. At 10 ½-minutes in length, it's a moody cut about continuing to struggle to make a difference, even though you know you never will, simply because it is who you are; it's a "hymn to those who disappear". The other new track, Access Denied, is an upbeat little bit of modern psychedelia, along the lines of Baby Dream in Cellophane, with cool voice effects and those soul stirring PT harmonies. The rest of the album is chock full of tracks from their various B-sides, such as the darkly effective improvisation, Untitled (see my review of Shesmovedon in AI #14), the slightly progressive pop tune Disappear, and a re-recorded version of Oceans Have No Memory featuring the whole band this time. We also finally get the full-length studio version of Even Less. Put together as a whole piece (as it should have been originally on Stupid Dream, in my opinion) it is revealed as the true masterpiece that it is. Recordings doesn't quite have the thematic consistency of a regular Porcupine Tree studio release, but Wilson has chosen the songs carefully, and arranged them in an order that at least gives the disc a cohesive feel. And even if you have most of the songs on other recordings (as I did), this is still worth picking up, not only so you can finally have all these great songs on one disc, but also for the two new tracks which are both great additions to the Porcupine Tree repertoire. For more information you can visit the Porcupine Tree web site at: http://www.porcupinetree.com.